I just upgraded one of our 1st Gen iPhones to 2.0.2 firmware form 2.0 and kept getting an error using the QuickPwn feature of WinPwn. Luckily there is a new release of WinPwn that fixes these types of errors. You can download the update here. When upgrading, don’t forget to uninstall your previous version of WinPwn if you have one. To update just click the pinapple in the very top left corner and then click for updates. After the update the jailbreak went smooth with no problems. WinPwn 2.5 is finally here! This is a very nice jailbreak application. I just upgraded to iPhone firmware 2.0.2 and jailbroke my iPhone 3G using the QuickPwn part of WinPwn 2.5. 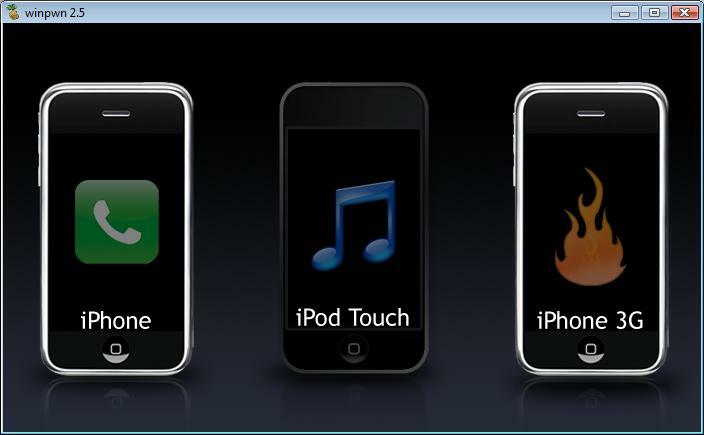 You can jailbreak the iPod Touch and both the 1st Gen iPhone and the iPhone 3G all on firmwares 2.0, 2.0.1 and 2.0.2. 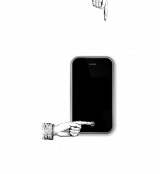 You can also unlock the 1st Gen iPhone but not the iPhone 3G. It seems the DevTeam has released a quick jailbreak method for Windows users. QuickPwn is still in beta but, it seems to be proof of concept that makes pwning and jailbreaking your iPhone or iPod Touch much quicker. Basically you are able to jailbreak without creating a full IPSW. After taking a look at it, there isn’t much of a user interface at this time and it seems that you can only use it if you are on firmware 2.0.1 (be sure to read the README file). But, if you are into trying the newest hack…you may want to give it a shot. Below is a snippet from the DevTeam’s blog. It’s a tool we’ve been working on to jailbreak a phone more quickly and easily, without requiring a full restore. Unless you are making a custom firmware with specific features, there is nothing inherent in the pwnage process that requires a restore, and we have been planning this tool for some time. It’s more convenient because you do not need to make a full IPSW and use iTunes with it, but your phone still ends up pwned and jailbroken. In an attempt to be more open about our development process, we’re releasing a beta version of quickpwn, for Windows only. Other platforms are coming soon. WinPwn 2.0.0.4 has been released. This will jailbreak firmware 2.0.1. Firmware 2.0.1 has some good upgrades that speed up the iPhone and keep the iPhone from crashing so much. The 2.0.1 firmware upgrades the modem firmware and has not been unlocked yet. I am in progress of backing up my iPhone, upgrading and jailbreaking. I will update with more info later. It seems that the developers of WinPwn are in the process of developing a new WinPwn that is, “a lot easier to use and should help a lot of people having issues.” I’m not exactly sure what that means…the current process seems to be decent. So, I guess we will just have to wait any see. They say WinPwn 2.5 will be released “very soon.” We will keep an eye out for it! – 1) Uninstall WinPwn 1.0 first. – 2) First create a custom IPSW using the IPSW Builder. – 4) Once you have pwned Itunes, put your phone into DFU mode. If you don’t know how to do this click Here. – 5) Once you are in DFU mode Itunes will pop up and then you can hold shift and click restore and browse to your custom IPSW file. Well, according to guys over at Winpwn.com they are testing the latest version of WinPwn and we should see a release soon! Maybe the next couple of days?! Hold tight…we are almost there. Though we have already seen the release of Pwnage 2.0 as a jailbreak option for firmware 2.0, some of us (that includes Doug and I) are anxiously awaiting the release of WinPwn, the windows version of Pwnage. We do not have any hard evidence of when it is going to be released but the guys over at WinPwn.com say that we can expect to see it in the next few days. I guess we will just have to wait and see. Once it has been released we will do a full article on how to use it and how it worked for us. Though, as of now, Installer is still not available for firmware 2.0 and there have not been many application ported over. Let me know in the comments if those of you on 1.1.4 and below will update to 2.0 and jailbreak right away or if you will hang out on your jailbroke 1.1.4 for a little while. The Dev Team has released a video demo of PwnageTool 2.0. It seems that they have been working hard and the results look pretty good. The new GUI interface appears to be simple and user-friendly. Pwnage 2.0 is not available yet however, they say it will be soon. It will including the ability to jailbreak firmware 2.0. YAY! Below is what they have to say and a video demo. It’s poll time again! 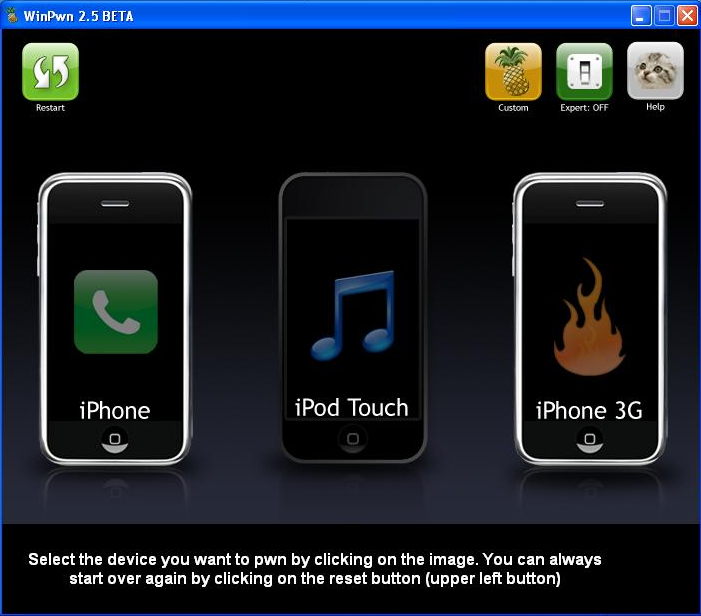 The last poll was – Now that we know what the iPhone 3G offers….what will you do? Below are the results based on when we added the poll about week ago. What is your preferred method of Jailbreaking version 1.1.4? WinPwn is no longer in beta! WinPwn released version 1.0 today officially bringing it out of beta! YAY! Welcome to the world of full fledge applications WinPwn! We haven’t had a chance to use version 1.0 yet however, my iPhone is about to the point where it usually starts acting crazy. So, you might see a post about it soon! Ok, so I’ve been trying to get my iPhone the way I want it all day. Last night I decided that I was going to restore my iPhone using winpwn. It’s been about 2 months since I have synced my iPhone with iTunes because for some reason iTunes hasn’t recognized it. I backed up all my data either via SSH or TimeCapsule. I fell asleep after finally backing up all options in TimeCapsule. When I woke up this morning my iPhone was running REALLY slow. Like 10 second delay everything I did something. No idea why this was but I didn’t really care since I was going to restore.